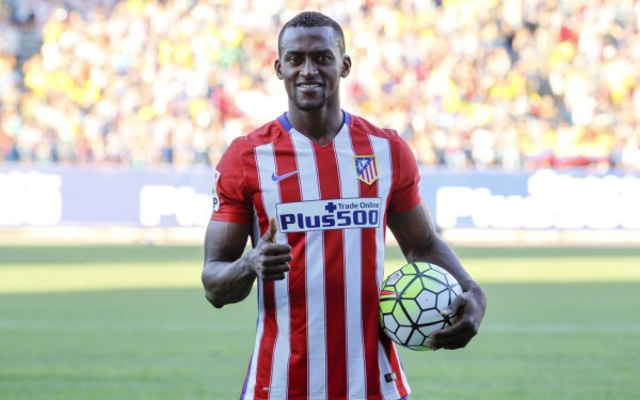 Chelsea and Tottenham Hotspur are both understood to be considering a January move for Atletico Madrid forward Jackson Martinez. According to the Mirror, the 29-year-old—who hasn’t truly realised his potential at Atleti after moving to the Spanish capital from FC Porto—could be the subject of a transfer tug of war between the fierce rivals during the upcoming January transfer window. The Colombian frontman moved to join Diego Simeone’s side from the Primeira League during the summer [fee via the Mirror], but has managed only three goals in 12 outings in the Spanish top flight and, as such, his future in Spain has come under question. The tabloid note that Simeone is willing to allow the forward to leave on loan in January, and the prospect may be appealing to Spurs and Chelsea, with the duo both in need of offensive reinforcements. Spurs are remarkably reliant on England international Harry Kane—who scored twice as they defeated Norwich City 3-0 on Saturday—and recently lost new signing Clinton N’Jie to injury [Express]. Chelsea, meanwhile, are enduring a miserable start to the season, and Falcao has misfired, Loic Remy is yet to truly convince, and Diego Costa remains a divisive competitor—even if he bagged twice against Watford in Premier League action on Boxing Day.